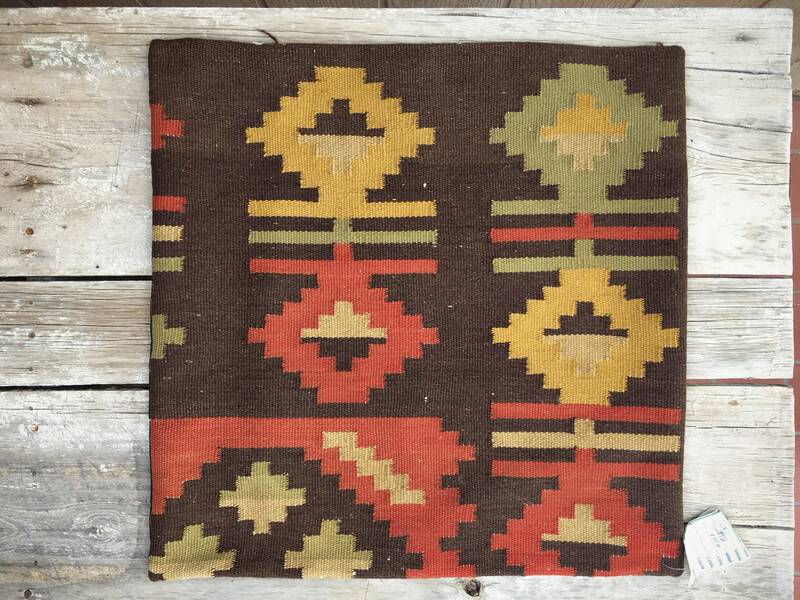 This pillow cover comes from a large lot of Turkish kilim pillow covers and rugs that I bought from a collector couple who upon moving to New Mexico in the early 1990s intersected a Santa Fe rug store as it was going out of business. 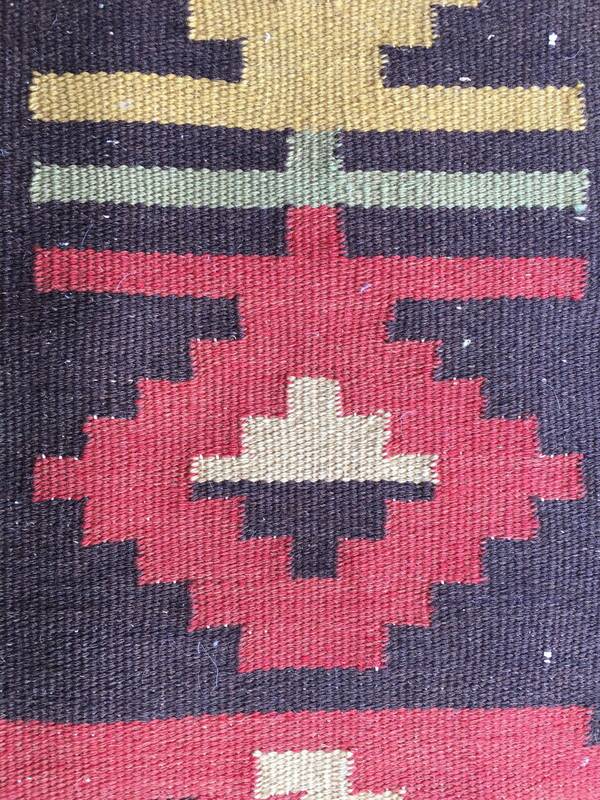 Many pillow covers and rugs were purchased, the marriage dissolved, and the items were put away, never to be used. 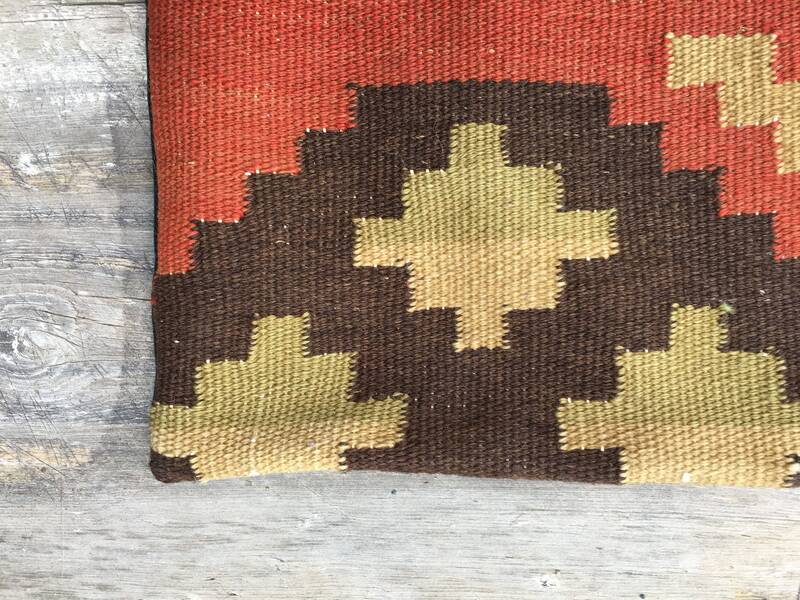 This particular pillow cover has earthtone colors of a brown background with a golden yellow and faded brick red, as well as a pale sage green. 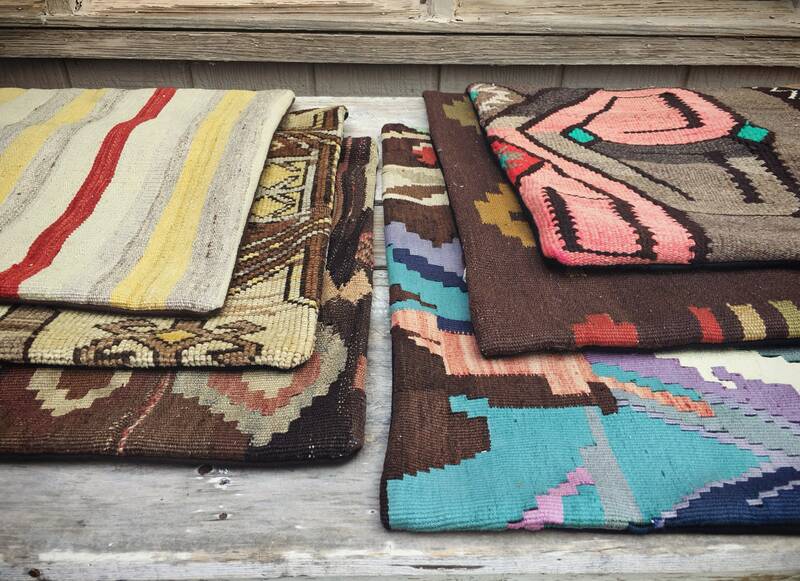 Fits perfectly with Southwestern décor, as their color combinations, designs, and textures blend with natural woods and adobe. Yet they're also gorgeous in bohemian settings, or mixed with plants and minimalist or modern furniture in an eclectic home. The pillow cover measures approximately 24" by 24". Never used. 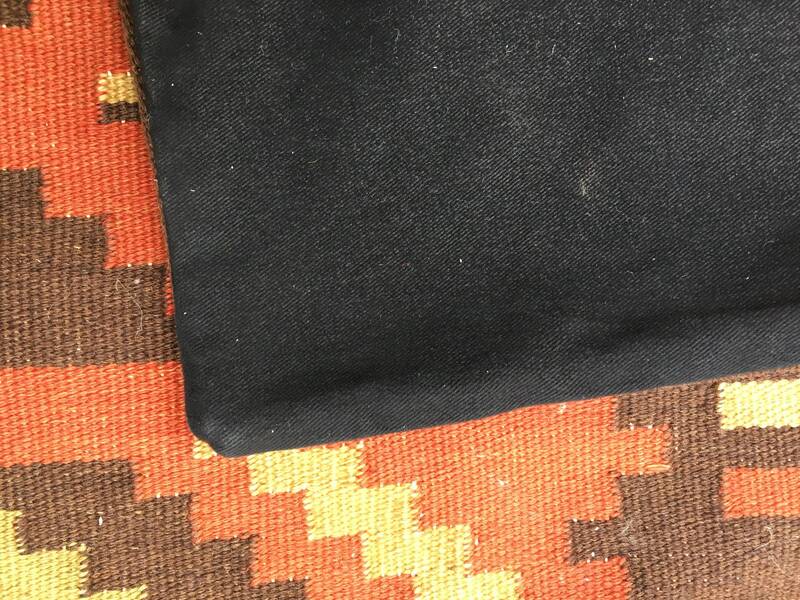 Black cotton backing with zipper opening for insert.